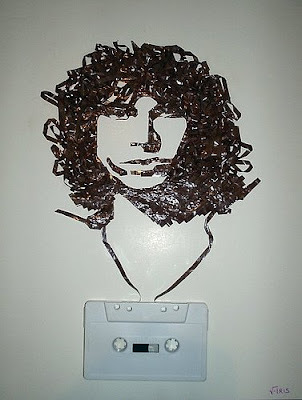 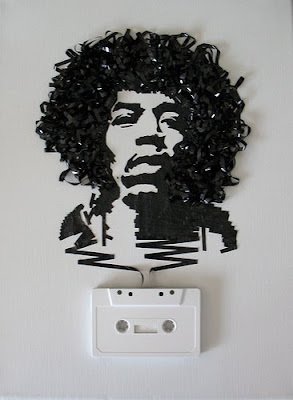 What they created with some old cassette tapes and reel tapes is simply remarkable. 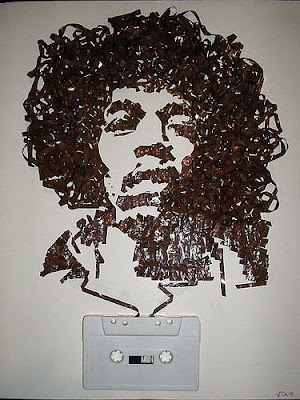 Beautiful art work Incredible, aren’t they? 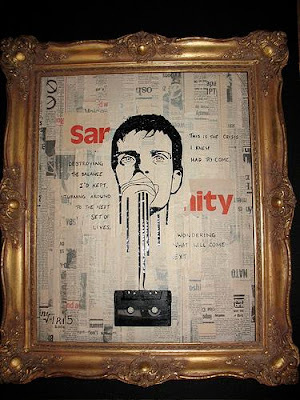 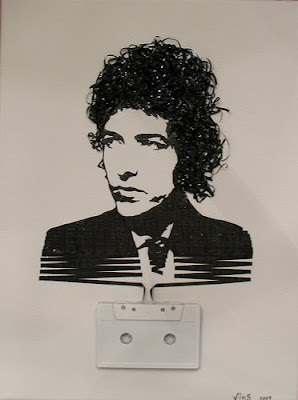 Using these old tapes, they turned them into works of art in a series that she calls “Ghost in the Machine.” The series portrays celebrities and musicians such as Marilyn Monroe, Bob Dylan, Robert DiNero, Jimi Hendrix, Ian Curtis, and Jim Morrison.